Doctors at the Albert Einstein hospital in Sao Paulo said in a statement that Pele's ``infection has been quelled'' and that he is in good shape. Doctors at the Albert Einstein hospital in Sao Paulo said in a statement that Pele’s “infection has been quelled” and that he is in good shape. 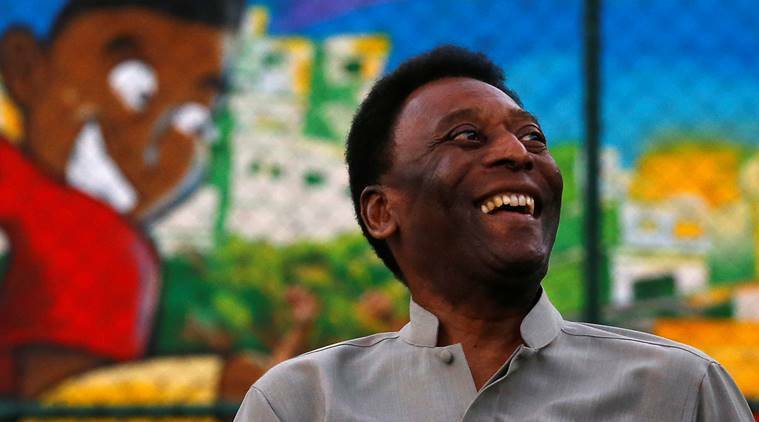 “Once more, thank God it was all fine,” Pele said at the airport. On Monday, Pele said in a statement that he had undergone surgery in France for “a severe urinary infection,” but offered no other details. Pele has been frequently hospitalized over the last few years for kidney and prostate procedures and was under care in Paris since last Wednesday. He was taken to the hospital after an event with Kylian Mbappe, the France forward who has drawn comparisons with the Brazilian great after helping his country win the World Cup last year as a teenager. In November 2014, Pele was in a hospital in Sao Paulo for two weeks, including some time in intensive care, also because of a urinary tract infection.